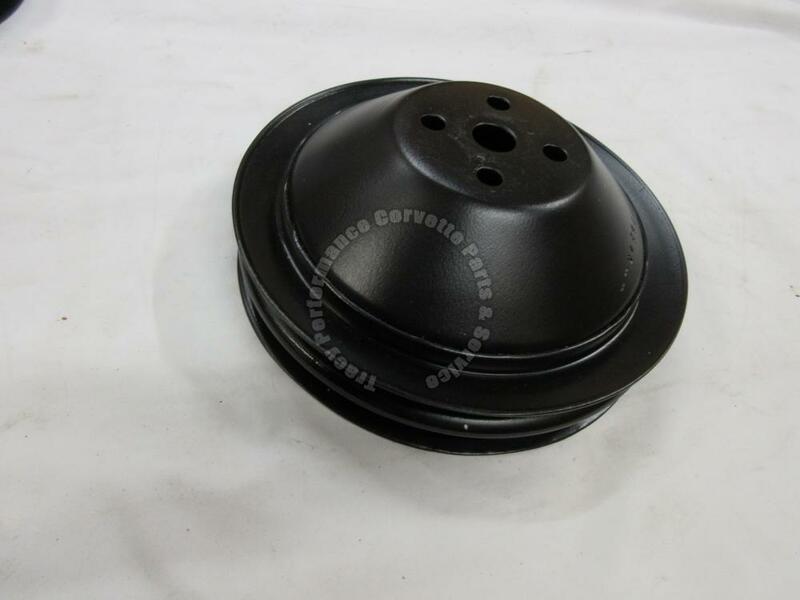 This is for One, (1), New High Quality One Piece Reproduction Chevrolet Corvette Engine Fan/Water Pump 7 Inch Deep Double Groove Pulley, (GM Part Number 3770245, GM Group Number 1.062), for 1962 62 1963 63 1964 64 1965 65 1966 66 1967 67 1968 68. It does have the part number stamped into the front face, but this is not the 2 piece welded assembly pulley needed for NCRS, Bloomington Gold judging. It may also fit other vehicles, but do your own research to verify proper fit. This item can be picked up at our Corvette Parts and Service Center, Tracy Performance, 29069 Calahan Road, Roseville, Michigan 48066-1805, (just Northeast of Detroit), to save shipping costs. NOTE: The attached photo is a similar file photo, not a photo of the exact part.